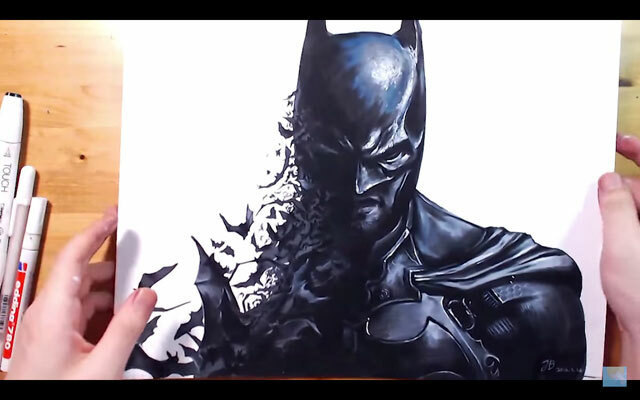 Time-lapse of "Batman" (from "Akham Origin") illustration by Korean artist known as "drawholic" (Facebook / Youtube) on strathmore bristol 300s with Colored pencil (Prismacolor) and Marker. Would love to get some tips and tactics from you sometime! #makeadrawing is a a collection of time-lapse videos / documentaries / interviews featuring artists and illustrators drawing and illustrating on any and all mediums. Folks can contact me direct at "toysreviler [at] gmail.com" (Subject title: "#makeadrawing", thanks).